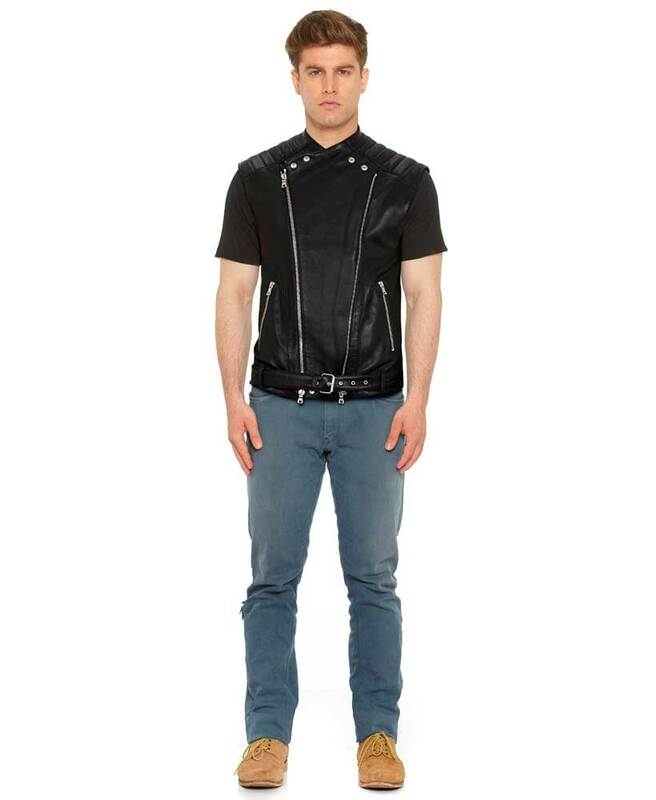 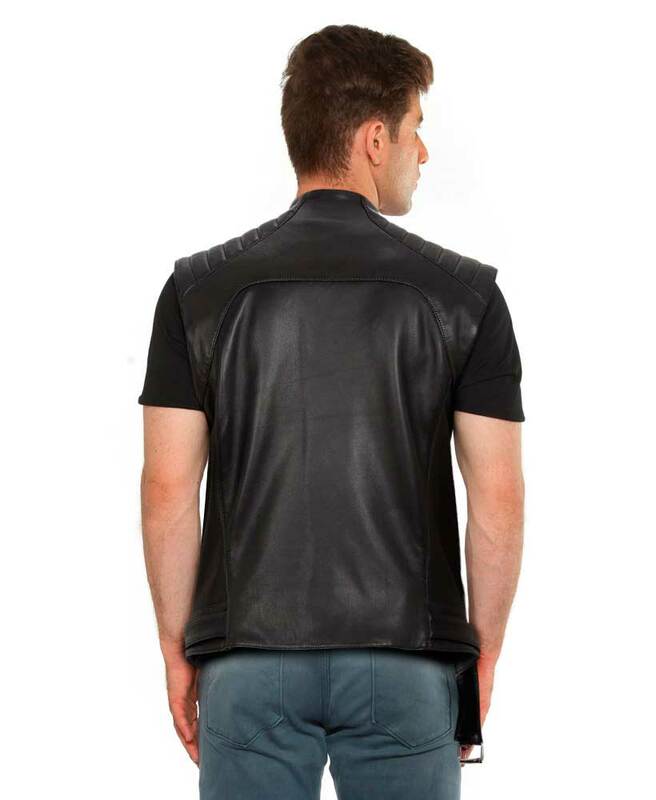 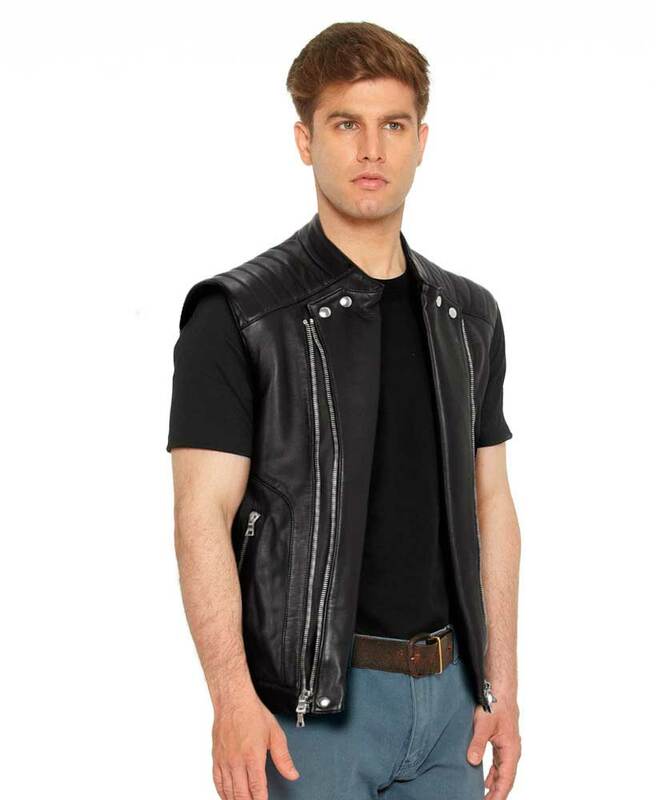 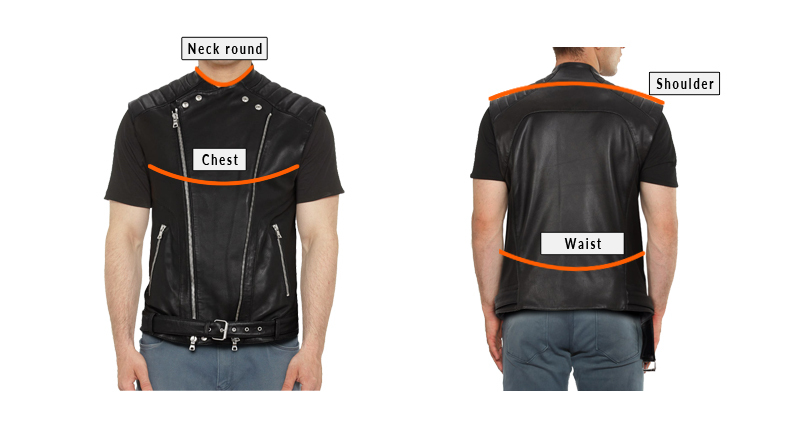 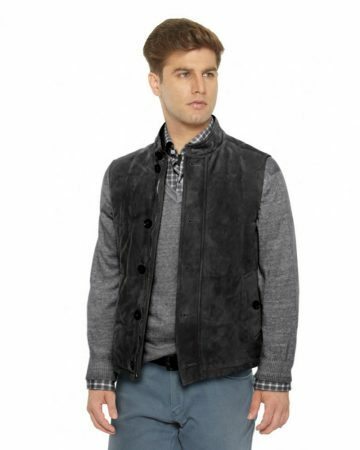 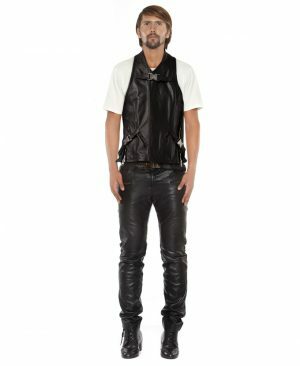 This season, layer on comfort with this stylish mens black leather vest with quilted panels. 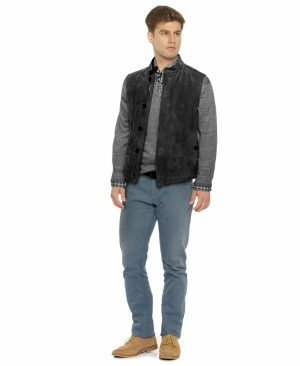 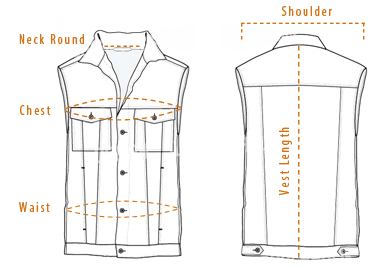 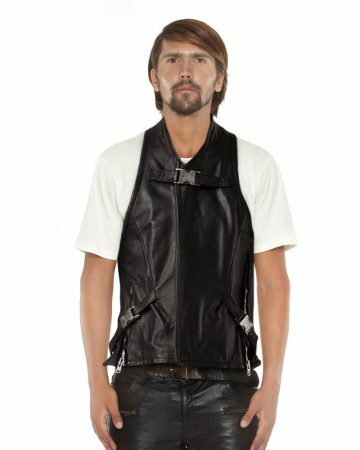 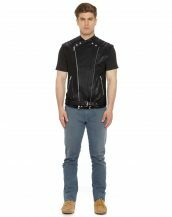 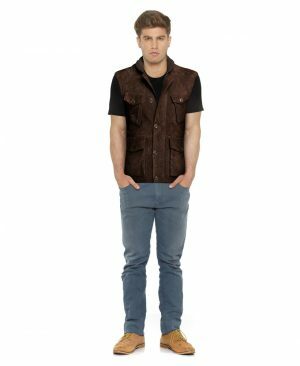 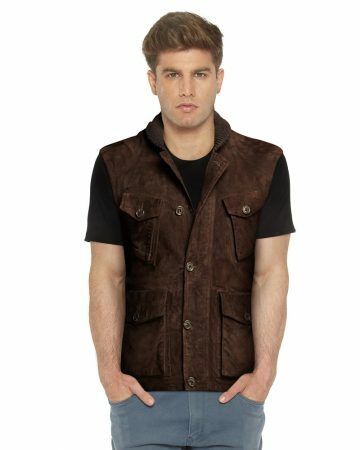 Designed with 2 side zippered pockets and attached leather belt, this vest can immediately add to your fashion statement. 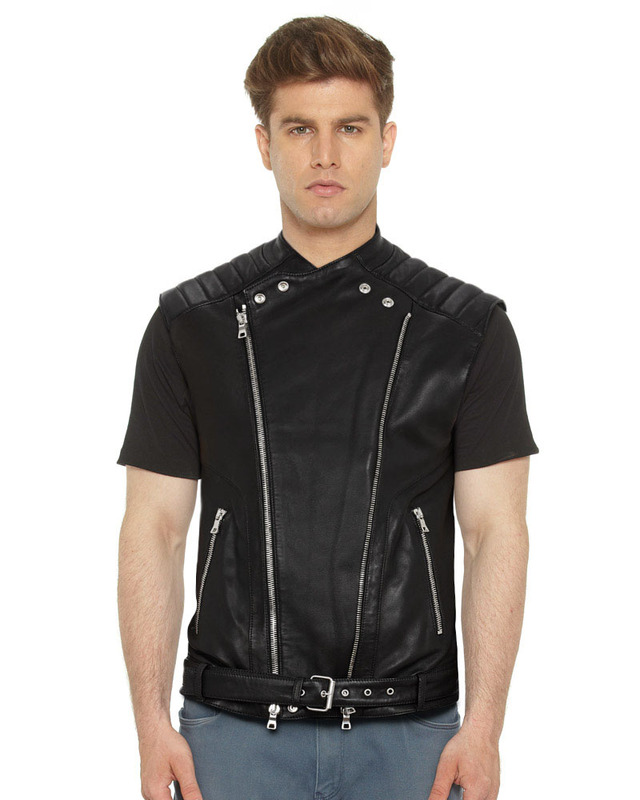 Its soft lambskin leather will make your skin fall in love with it, the moment you put it on.